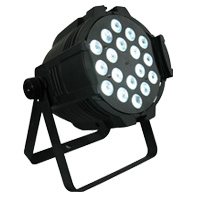 A super-bright 6-way LED wash light suitable for most applications. Ideal for uplighting or downlighting. The double yoke assembly allows lighting bar, celling, wall or floor mounting. As above, but with the added benefit of a 10° to 60° zoom function, remotely operated from the control desk. This allows the fixture to function as both a wash light and a spotlight. A professional LED profile fixture, designed to replace conventional tungsten/halogen fixtures. 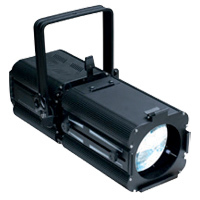 Pure white or multi-colour with a wide range of optional lenses, these professional profile fixtures are ideal for use in theatrical applications where a clearly defined pool of light is required. As above, but with the added benefit of a manual 17° to 50° zoom function. Change the size and the hard/soft edge definition of the beam. 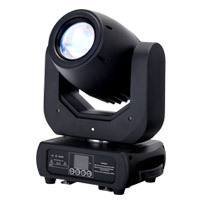 Ideal for multi-purpose spaces where the performance area or projection distance changes on a regular basis. 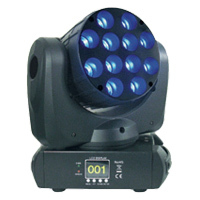 A high power LED moving head fixture, ideal for long-throw applications. Moving head fixtures are ideal for use in multi-purpose spaces since the beam can be moved remotely via the control desk. 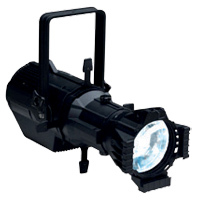 As above, but with a very high power output and a zoom function, allowing the fixture to function as both a wash light and a spotlight. 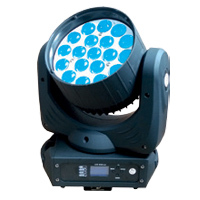 A high power LED GOBO moving head fixture with 16 pre-defined patterns in a full range of colours. 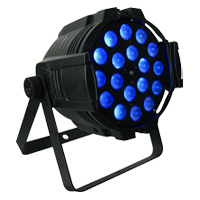 Ideal for creating stage effects, but equally suitable for dances, discos & events. 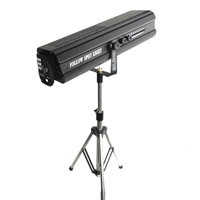 A very high power 450W LED follow-spot. Ultra-narrow beam angle 1-9º ideal for long range use. Full manual & DMX control. Optional heavy duty stand and fitted flight case.